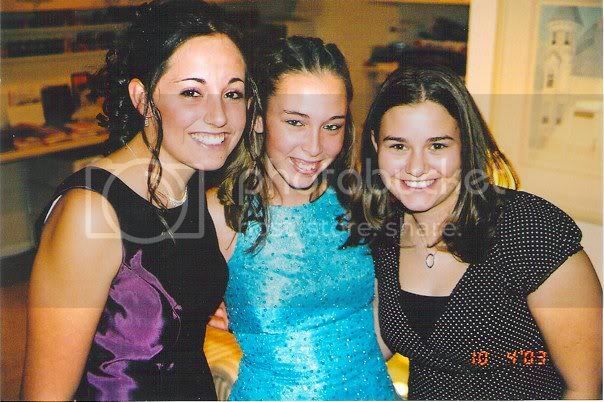 This is 17 year-old me, yeah the one not dressed up for Homecoming, on the right. I don't share a ton about my high school experience, simply because it wasn't that great, but I have grown and learned a lot from it. I was pretty typical, average grades, plenty of friends, but not popular. No need to hash out the details, but my junior year, I had a rough end of the year, which eventually resulted in a diagnosis of depression and anxiety. I sought counseling and medication, and got things all worked out. I'm doing fine now, but it can be a battle to keep those feelings at bay sometimes. The reason I'm sharing this information today, is because of where this layout started at. In high school, I didn't date much. Had a few dates to a few dances, a random kiss, and lots of crushes. I often doubted I would ever find anyone to like me, let alone love me or marry me. What I actually wanted to write on this page, I couldn't articulate well enough for just a few strips of journaling. I wanted to say, that if I had known in high school, that I would have married a man like you, I would have never believed it, but I would have been a little different. I wouldn't have worried so much what other people thought. I would have let go of the drama surrounding silly boys. I would have spent more time preparing myself to be the best wife I could be. This is a reminder to me, that I am one of the lucky ones. I need to appreciate that. and more about the sweet little girl and my husband, that I have been blessed with. This Thanksgiving season has me in all sorts of reflection and perspective. Today, I am thankful for my husband. My wonderful, hardworking, understanding husband. Stunning layout and an amazign journaling. Thanks so much for sharing your thoughts and I think you are one amazing strong woman! When I pulled this up, the picture TOTALLY caught me off guard! lol... I'm so happy you're so happy now! You deserve it! Love ya! We think you're good for him too! Oh Holly, this makes me tear up. So so beautiful. Awesome post, Holly! Made me a little teary eyed. Your layout if fabulous....you look so full of joy in that photo.